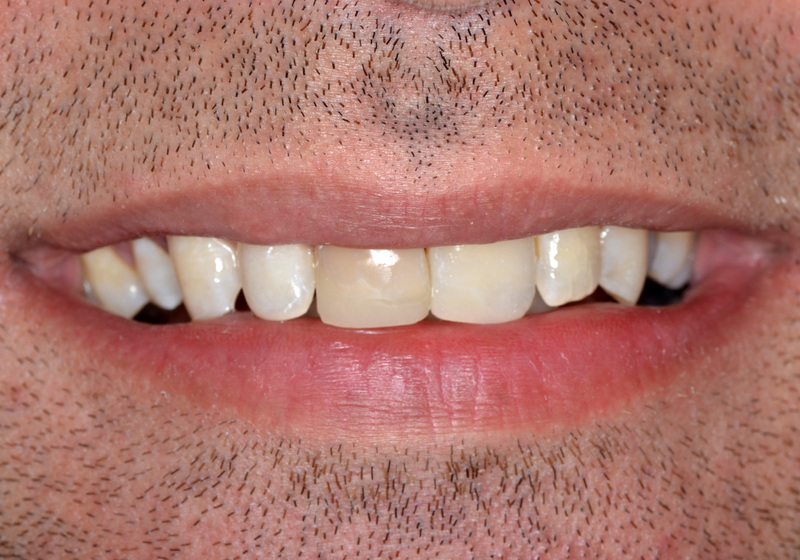 Below are a few such examples of our dental work. 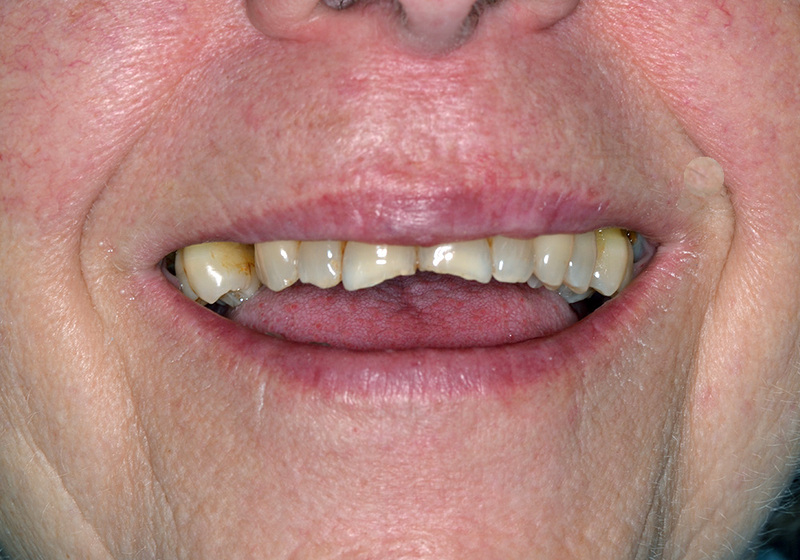 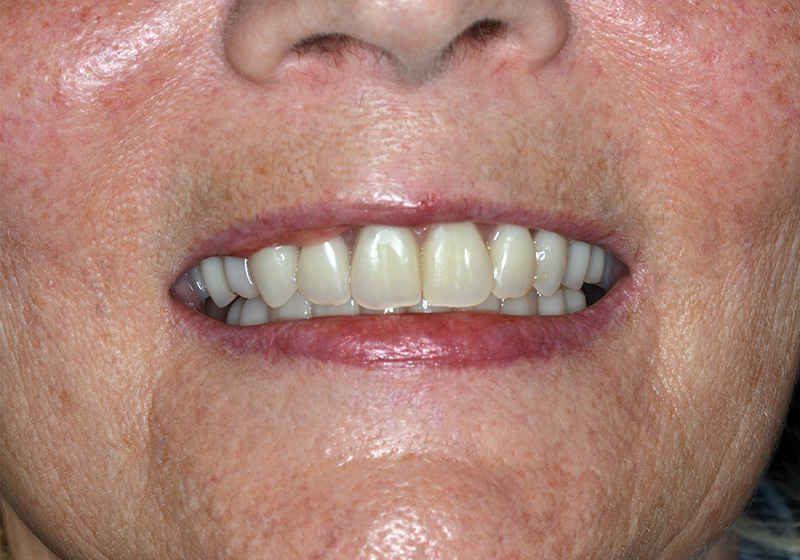 This patient came to us for what is known as an "all on 4 case", where teeth which had advanced gum disease were replaced with bridges supported by dental Implants in the upper and lower jaw. 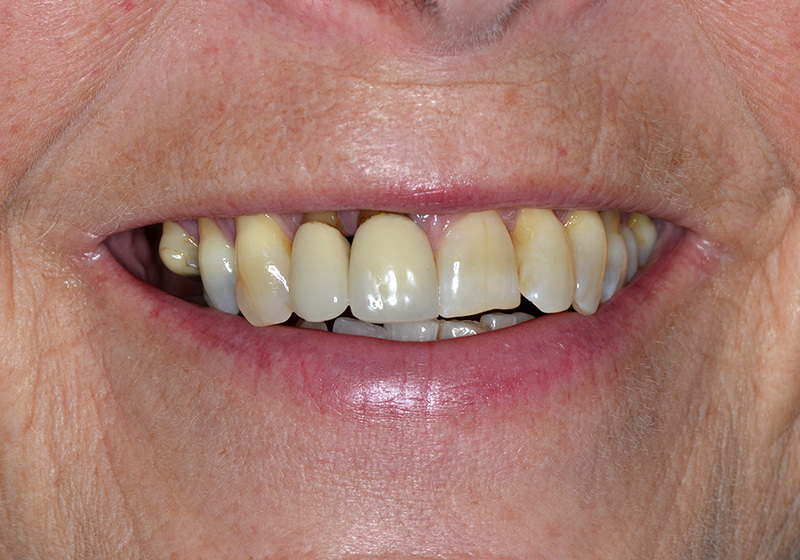 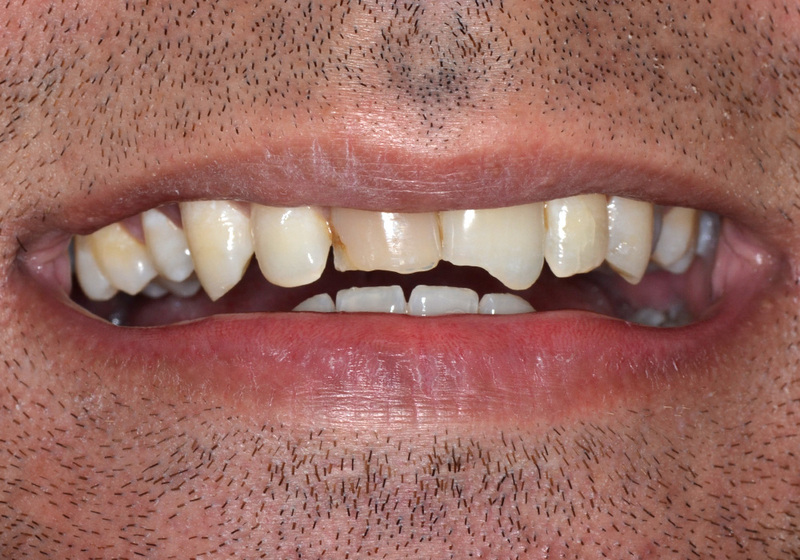 Below is an example of composite fillings used to build up worn chipped teeth resulting in an improved smile. 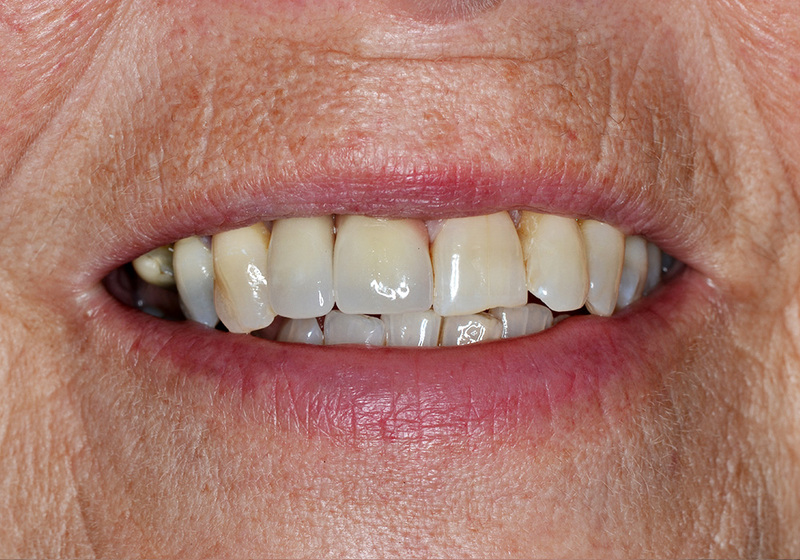 Notice the balanced have all been rebuilt to an equal height resulting in a beautiful smile. 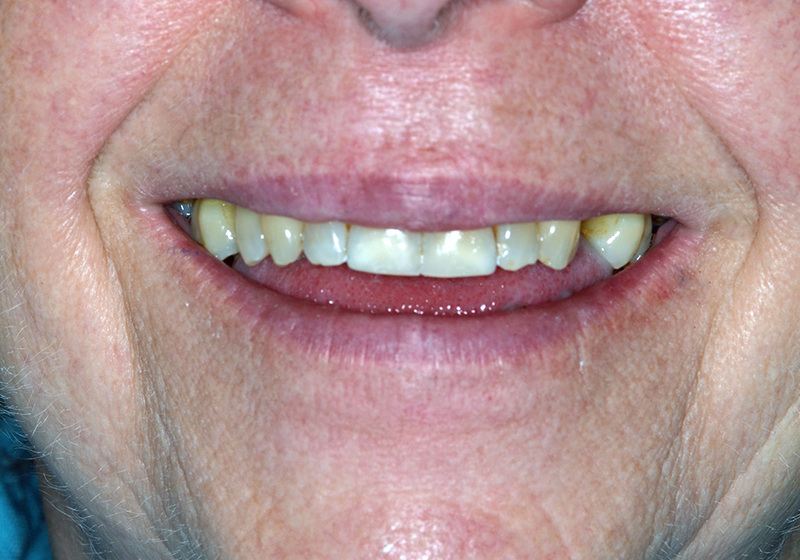 This is another example of a composite filling build up for worn, chipped teeth. 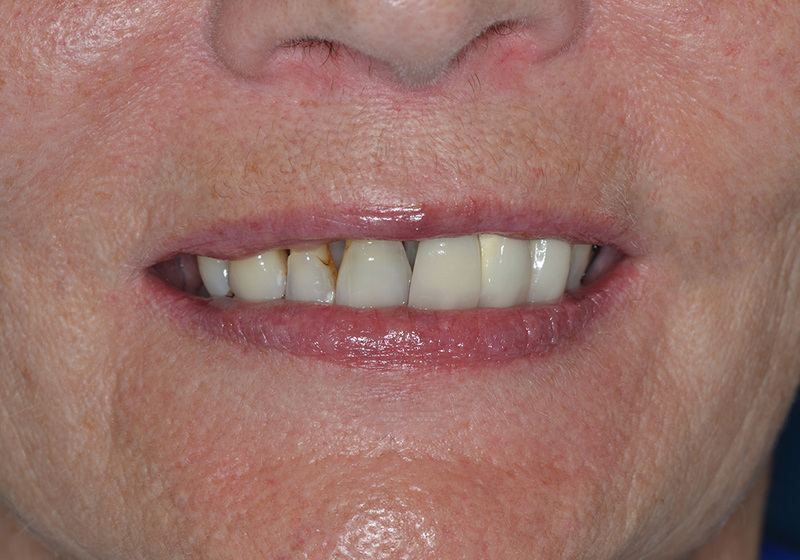 This patient has subsequently booked to reattend to whiten the discoloured incisor, which needs root canal treatment first.